Listening to Efek Rumah Kaca (ERK), an indie rock band from Jakarta, Indonesia, is like reading a newspaper since the band serves various themes on their songs. ERK talks about consumerism on "Belanja Terus Sampai Mati", photography on "Kamar Gelap", politics on "Jalang", "Di Udara", and "Jangan Bakar Buku", environment on "Efek Rumah Kaca" and " Hujan Jangan Marah", psychology on "Melankolia" and "Insomnia", music industry on "Cinta Melulu", and many more. Cholil (vocal/guitar) and Adrian (bass) write the lyrics like photographers capturing/documenting any daily life moments. Formed in 2001, Efek Rumah Kaca is musically influenced by many great musicians/bands from different genres and era; Jon Anderson, Sting and The Police, The Smiths, Radiohead, The Smashing Pumpkins, and many more. Anyone will get "theatre of mind experience" listening to ERK's songs although not understanding the all Indonesian language lyrics. You will embrace the loneliness in "Lagu Kesepian" (Loneliness Song), or feeling the December month after rain beauty in "Desember" (December). The notes and precise sound choosing will take you there. After several name changes, Efek Rumah Kaca released the self titled debut album "Efek Rumah Kaca" (Paviliun Records, 2007) which immediately drew positive response from various medias, music critics, internet bloggers, to music lovers. "Cinta Melulu", a satire of Indonesian music industry which is dominated by sappy love songs with stereotype music and lyric approach, became big hit in Indonesia. It brought ERK on the road, touring to cities in Indonesia and achieved various awards. "Cinta Melulu" was granted "Best Indonesian Song of 2008" by a prestigious radio in Indonesia. Even the creativity of Efek Rumah Kaca songs overthrown pop music stagnancy which made Efek Rumah Kaca being claimed by media as "Indonesian music saver". 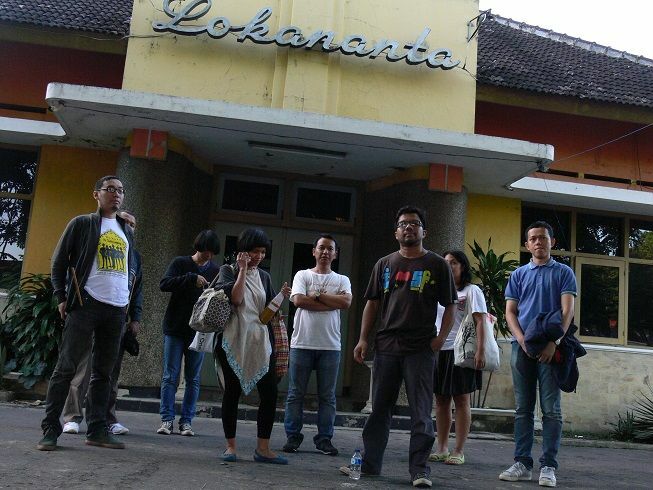 December 2008 ERK released their second album, "Kamar Gelap". In two weeks only, in national circulation, this album has been sold more than 3000 copies. Efek Rumah Kaca has been loved by various circles. From "indie kids" to literature lovers. From visual artists to activists. From lecturers to junior high scoll students. In early 2009, Efek Rumah Kaca has even become the permanent writer for politic column in KOMPAS, biggest national newspaper in Indonesia.